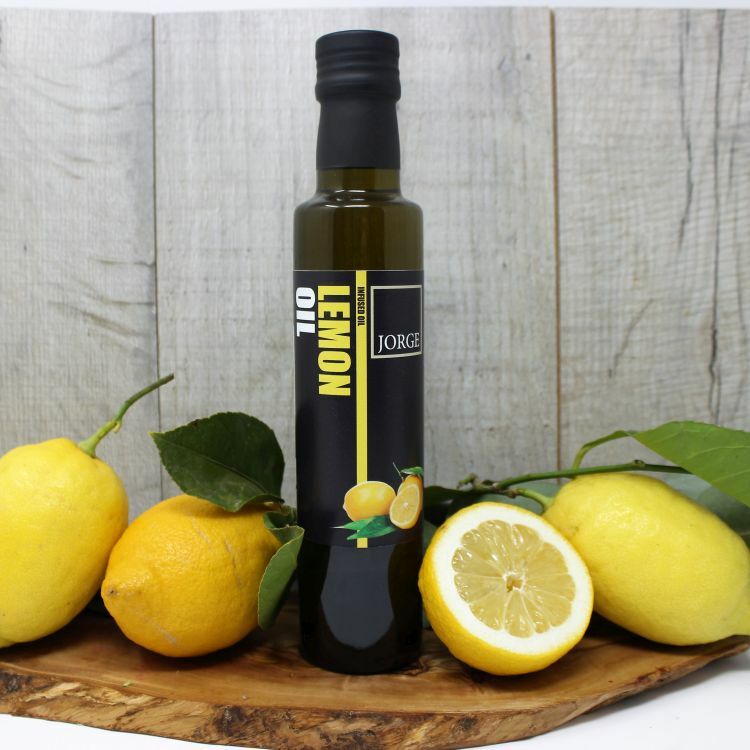 This Lemon Olive Oil is crafted by infusing Finest Extra Virgin Olive Oil with natural Lemon flavour. The result is a light citrus flavoured olive oil, capable of enhancing a wide range of dishes. This beautiful fruit infused oil makes the perfect gift for aspiring cooks and is ideal for summer BBQs, mezze/tapas style dining or entertaining to impress. Fantastic straight over a salad, as part of a dressing, or for use in sauces, marinades, over grilled chicken & fish or even in baking. Use in place of butter for lighter, moist sponge cakes, through hummus, fresh tabbouleh, or couscous and over pan fried scallops or crab bruschetta. Jorge Olive Oil is produced on a small family estate in Messenia where the olives are harvested and pressed in exactly the same manner as they have been done for centuries using traditional, natural methods of production.